Amongst social media professionals, it is assumed that increasing organic reach and Facebook engagement is a matter of embedding your posts with images. A Google query reveals 40 million articles written about this subject, with most pundits advising social media managers to pepper their Facebook pages with images. But is this good advice? And even if it was once true, is it still accurate? Before we confirm this as fact or faction, let’s examine when it became a truism. In 2011, eMarketer released data that showed images attract more engagement on Facebook than videos, links, and “pure” text posts. One year later, HubSpot followed up this study by establishing that images generate 53% more likes than the average post. Bit Rebels thereafter published this stunning infographic that went viral. Those studies seem conclusive, and since 2011, it’s taken as gospel that increasing Facebook engagement is a matter of embedding images. In fact, since those studies have been released, social media managers have increased the volume of images on their Page timelines. According to Quintly, images accounted for 54% of all Facebook posts between January 1, 2013 and January 1, 2014. Our spot check of company Facebook Pages shows images are still on trend. For example, Sony’s Facebook Page timeline is dominated by photos. They remain popular, and show no sign of abating. Even so, there are variables worth mentioning—and more importantly, Facebook’s algorithm has evolved. As social media managers have increased their image post output, broad engagement with brand Facebook Pages has plummeted. Organic reach for posts had declined from 12.05% in October 2013 to 6.15% in February 2014. The statistics are more eye-opening for Pages with more than 500,000 likes. During the same time period, Facebook engagement fell from 4.04% in October to 2.11%. If images increase engagement, and more images are being posted to Facebook Pages, why hasn’t engagement for brand Facebook Pages likewise increased? Not all images are perceived alike. A study by Tagg shows that there are differing levels of engagement depending on whether a human being appears in a brand’s photo. Images that show only certain parts of the body and not the face generated the most likes and second best in comments and shares, which makes it the winner in overall engagement at 81%. Images that show no person or body part at all generated the most comments and shares and came in at second in overall engagement at 78%. Meanwhile, at only 62% engagement, images that that show at least one person’s face generated the least engagement, which somehow approves the study hypothesis. Hence, pictures of a human face provokes less engagement than pictures of a body part or pictures without a human being featured at all. Examining this data, one would naturally suppose that popular memes such as lolcats and rage comics would be a natural fit for Facebook Pages. However, Facebook now punishes “low quality” memes. As of November 2014, Facebook has tweaked their algorithm yet again to punish any content deemed “too promotional”—even if they’re accompanied by images. Perhaps one reason engagement has plummeted is because—rather than simply being engaging—images are sometimes used to manipulate engagement metrics. Another reason might be that much of the content has been recycled too often. It’s hard to provoke engagement when your audience has seen the same meme again and again. 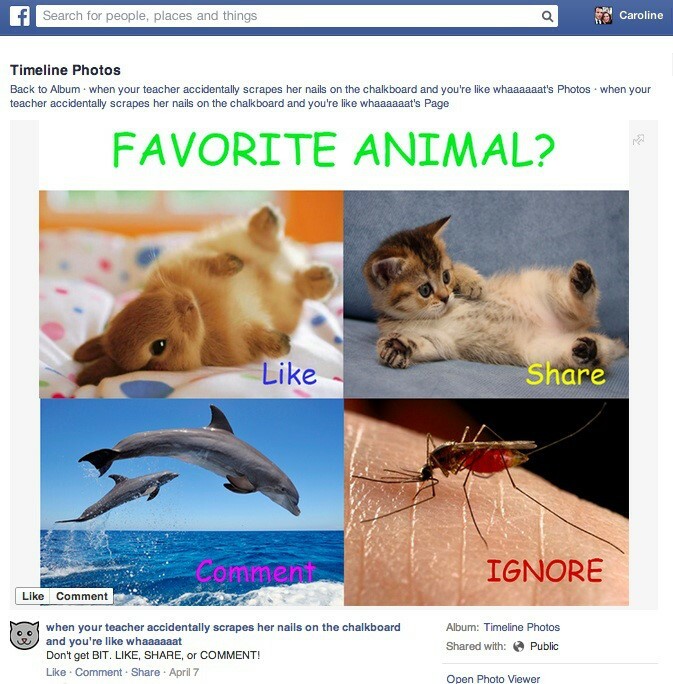 While brand Facebook Pages are posting many images to their timeline, are they engaging images? 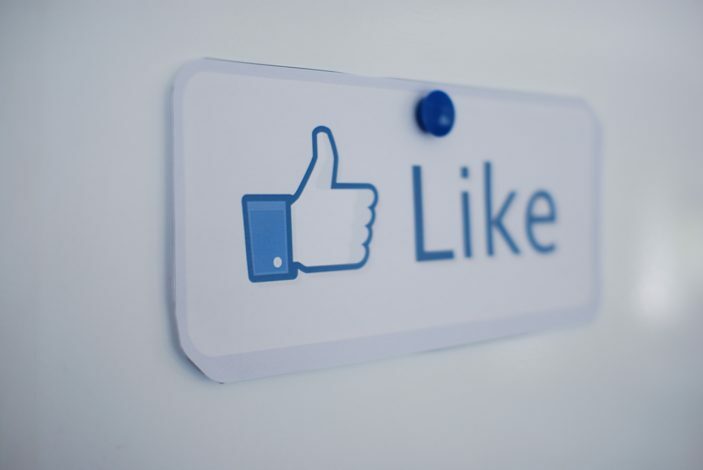 And while images attracted the most engagement in Facebook in 2011, is it still the case today? This was the content distribution during that period. Despite only accounting for 3% of Facebook’s content, video generated 2,183 average interactions per post. 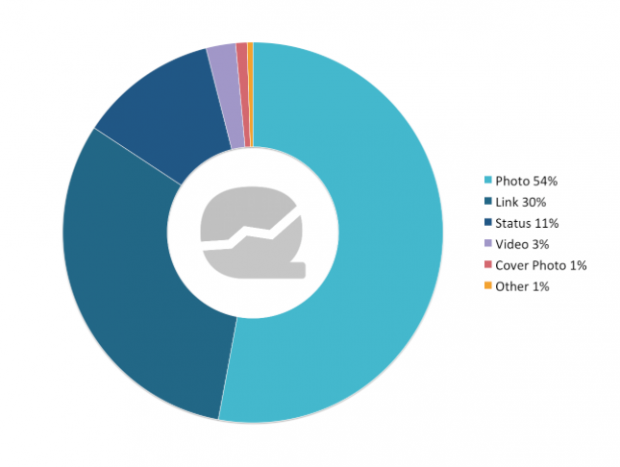 In contrast, photos generated 1,358 interactions despite accounting for 54% of content. In 2011, images generated more Facebook engagement than videos. However, videos generated more than engagement than images two years later. While social media managers are posting more images than ever, perhaps they should also start investing in video content. Start investing in your Facebook engagement with Hootsuite. Try Hootsuite Pro for free for 30 days!